I have to blame this post on the French lady I met on the plane in Montreal. She started my negative mood, so she is to blame. But I also think it’s fair of me to write something not so picture perfect about my travels, because let’s be real, traveling is not always easy and is not always perfect and fun. And if I’m getting really honest, we all know how much I rave about Italy, its beauty, its people, its language, its culture, its food, etc. I could go on… but thank goodness Italy has all of that to offer on its good side because it is very easy to find yourself down, frustrated, angry and upset at the way you end up treated and the number of obstacles that can be hurdled into your perfect day. So, this French lady started my flight off terribly. Her and I were one of the first people to board the Air Canada flight, Montreal to Brussels. Naturally, since we were the first, we had to wait for the entire plane to board after us, a completely sold out flight, that’s a lot of people and luggage to be put in the overhead compartments! I’m settled, so I start playing with the television on the seat, and pick a move to start watching, I put my headphones in, sit back and relax, watching this film as the plane continues to board. Then all of the sudden I hear this lady talking at me in French, and I just can’t help but stare at her with a dumb look on my face as she continues to talk at me in French. Finally, she pauses and asks in French, if I speak French, to which I respond no, (although I understood everything she was saying) so she then begins to lecture me in broken English about how it is important that I remove my earphones while we are on the ground because it is critical to my own safety and the safety of the passengers that I listen and not be distracted by my headphones. I just stared at her, said thank you, and put my headphones back in. This drove me INSANE and ruined my mood for my transatlantic flight, why did this lady insist on micromanaging the way I was behaving on the plane, when I was doing something that was so not even worthy of commenting on? ‘sta gente. Waiting in the boarding area for my flight to Bologna from Brussels was another experience. 5 minutes before our flight has started to announce, folks start lining up at the gate ready to board. I sit there and watch. These people were so interested in being the first on the plane that they had queued up in anxiety even before they had started the boarding process, you can only imagine how that turned out once they did start the boarding process and asked for those who need assistance and other special passengers to board first… what a nightmare! At least I can laugh at that one. Now let’s talk about space. Personal space. This is something you don’t get when you’re in Italy. Especially public space, like sidewalks. This straight up gives me stress. Running, walking, skipping, no one cares. It’s you against them, and I NEVER win. It’s mind blowing, literally. I walk by myself nearly hugging the wall most times or on the cusp of the curb, groups come at me, single people come at me and none of them move. I always secretly swear to myself that the next person who does it I’ll just plow right through, but I never have the courage! While avoiding the people seems not so bad, it becomes more difficult when trying to avoid all the dog poop all over the city at the same time. 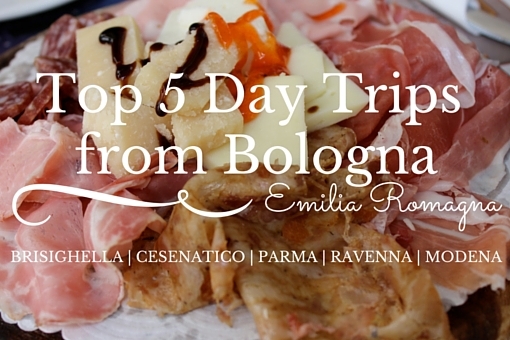 Don’t get me wrong – I am still obsessed with Bologna, but it will never be the same city it was when I was actually living here. Now I notice the obscenely terrible graffiti all over the beautiful walls of this town, and it makes me sad. Particularly, this time around there is one individual who vandalized wall after wall after wall with “NO RENZI, FUORI RENZI, CACCIA RENZI, BASTA RENZI”, I thought it was entertaining the first time, then I realized it is painted all over the city, under beautiful arch ways, religious statues, porticos, the list goes on… that makes me sad, because this city deserves so much more. I also notice that maybe 1 and 10 people pick up after their pets, walking around you literally have to dodge dog poop and pee everywhere you go and it makes traveling a little unsettling. Ultimately, the perks of being in Italy outweigh these few unfriendly details, but I do think it’s important to keep it real, so I hope some of you can sympathize with some of these points! it's always a pleasure to read about your adventures Whether that are good or bad they are very descriptive. Looking forward to the next installment. Povero Renzi.... I liked him.